Valentina Iusa joined School of Mathematics and Physics, University of Lincoln, UK, as a PhD student in pure mathematics. She is originally from L’Aquila (Italy), where she started her undergraduate studies at University of L’Aquila. Her Bachelor’s degree thesis, under supervision of Dr Norberto Gavioli, was on metabelian thin Lie algebras and their graded automorphisms. 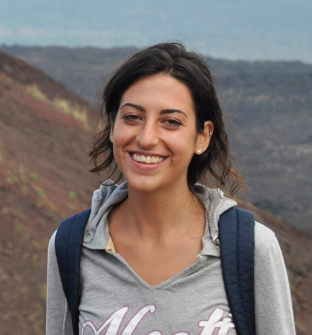 Valentina completed her Master’s degree at University of Trento, Italy, in 2015, under supervision of Dr Sandro Mattarei. Her Master’s thesis was on Dickson near-fields and related group theoretical questions. This entry was posted on September 5, 2015 by Evgeny Khukhro in News and announcements.